After purchase a registration file will be emailed to you. Download and install the trial version of this software from the website and use the registration file to fully activate the trial version. 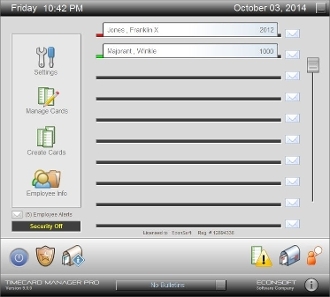 TimeCard Manager Pro upgrade from a previous version of TimeCard Manager. Require proof of previous registration. Copyright © 2014-2019 EconSoft. All rights reserved.